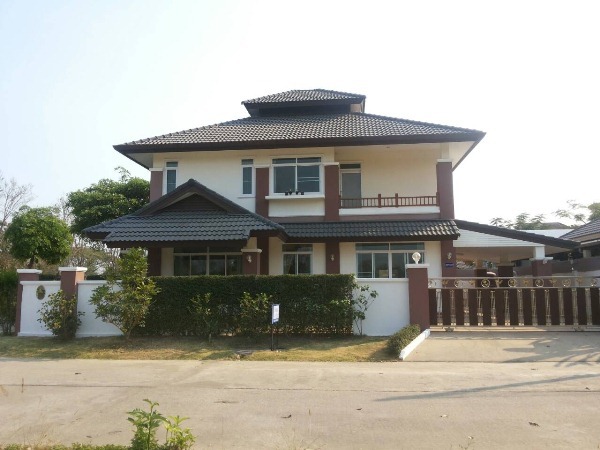 Single Storey House For Rent located in Maehea, Nong Kwai Sub-District, Hang Dong District, Chiangmai Province, near by Grace International School, Sojo s Coffee Shop, American Pacific International School (APIS), Sunshine Kindergarten, Khaomao-Khaofang restaurant, Mae Hea Food Market, Rimping Superstore Mae Hea. 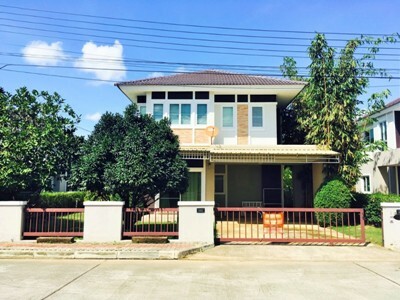 General Features Land Size : 65 sq.wa Price for rent : 19,000 THB/Month 2 Beds, 2 Baths, 1 living room with Sofa set, 1 Kitchen & Dining Area, 1 Dressing room, 1 Multipurpose room ,5 Air- conditioners 2 Hot-Waters, TV Refrigerator or fridge freezer. Secure Parking , Fully furnished. 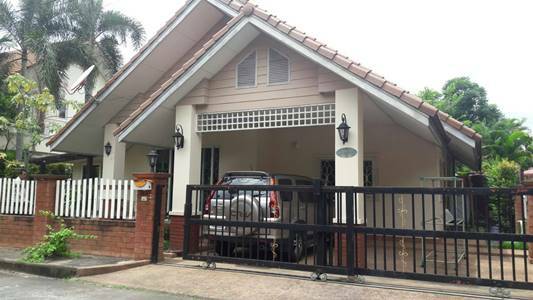 HR1643- House for rent in Chiangmai Thailand. 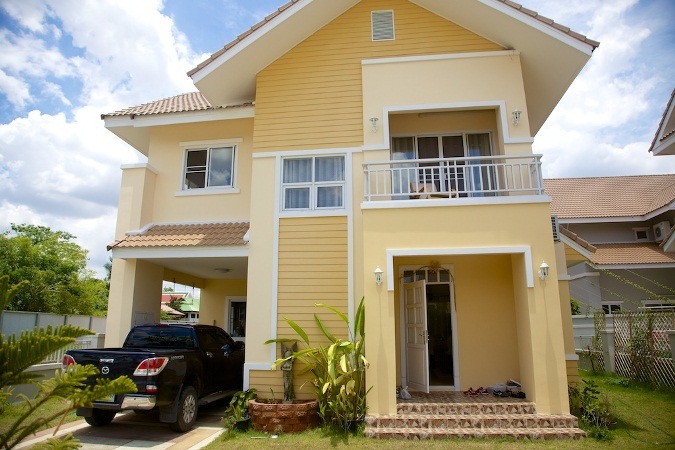 Beautiful 2-storey house in new project near by Doi saket for rent by owner. - Fully furnished new house. - 3 bedrooms, 3 bathrooms. - Garden 65 square wah. - European kitchen with oven, refrigerator and wash machine (with heater). 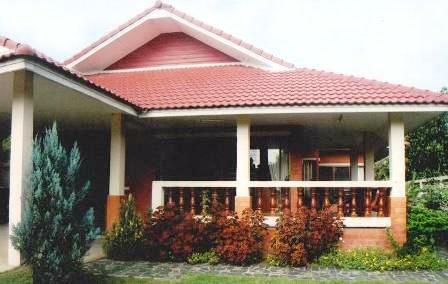 - Clubhouse with swimming pool, gym and clinic. -10 minutes to Central Festival, 2 minutes to 7-11, Tesco and local market. -2 storey townhome ready to move in. - Rent + Furnitures + Appliances. -There are all air conditioner, refrigerator, TV, water heater. 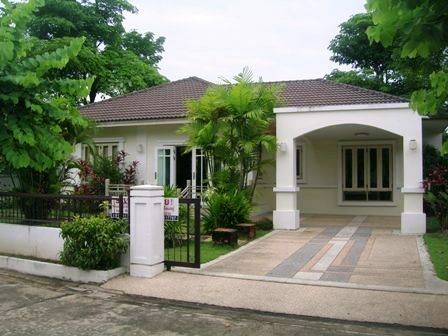 -Club house, swimming pool, fitness, bicycle, garden view, nice atmosphere. Malay Mace, a new concept house. Matching the modern lifestyle of the modern family with distinctive unique. 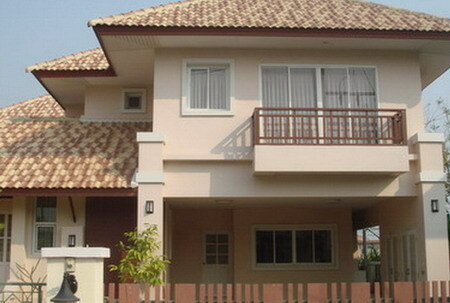 HR2002- House for rent in Chiangmai Thailand. House for rent in an outstanding designed village. The design of the entire housing project is tropical but with modern style. The village remains very natural looking, while also being environmentally conscious. The project chooses only energy saving materials for comfort, lifestyle, and sustainability. Fitness, Sport Club , swimming pool are offered at the clubhouse in a tropical environment surrounded by a green garden and lake with runway where you can bring your family to exercise in your style. General Features Lot Size: 68 Sq.wa. Using area: 140 Sq.m. 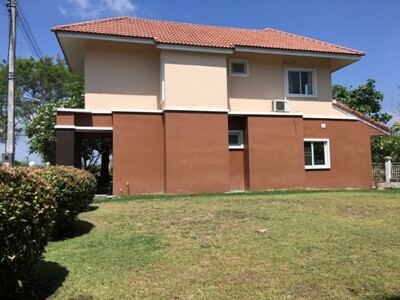 Price for Rent: 19,000 Baht/month, 3 Beds, 3 Baths, 1 Living rooms, 1 Western ,Kitchen, Air- condition, Hot-Water, TV Refrigerator or fridge freezer. Secure Parking. 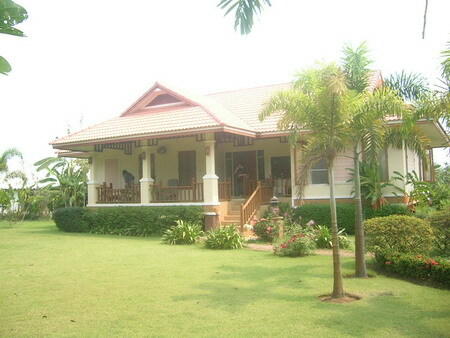 HR5036- Beautiful house for rent quiet atmosphere, mountain view,View of the field in Chiangmai Thailand. Beautiful house, quiet atmosphere, mountain view,View of the field, good Locate. 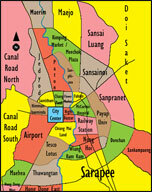 It takes approximately 25-30 minutes driving to Chiangmai International Airport and Chiangmai City. 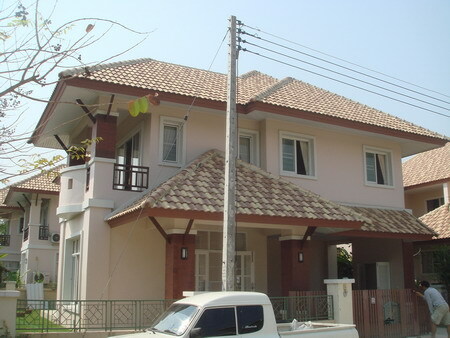 HR1873- House for rent in Chiangmai Thailand. Un Available Until April 2017. 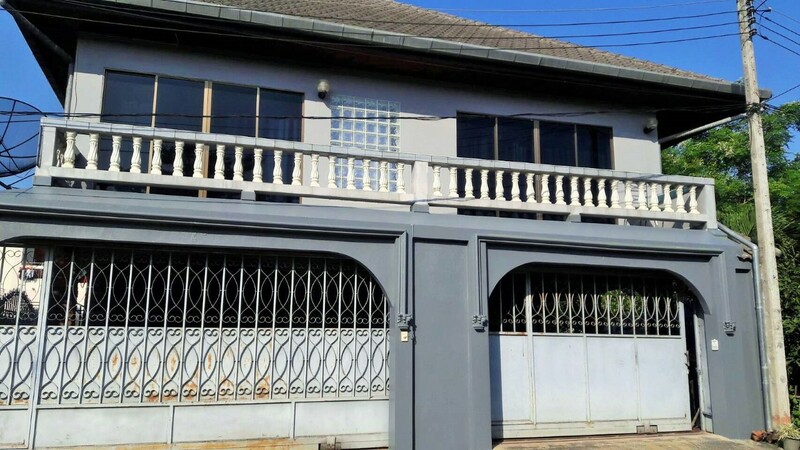 House for rent locate in Hang Dong, Chiangmai.with 3 bedrooms 3 Bathrooms,air-condition,1 western kitchen, with fully furnish and Wide garden in very nice project., Near by Kad Farang Shopping Plaza and Rim Ping Supermarket. Facilities: Swimming Pool, Club House, Gym, Security, Children s Play ground, Wide garden Accessible to public transportation and amenities. Accommodation is arrange over 2 floors, with 4 bedrooms, 3 bathrooms, lounge / diner and fully fitted and equipped kitchen. Externally there is covered parking for 2 cars. 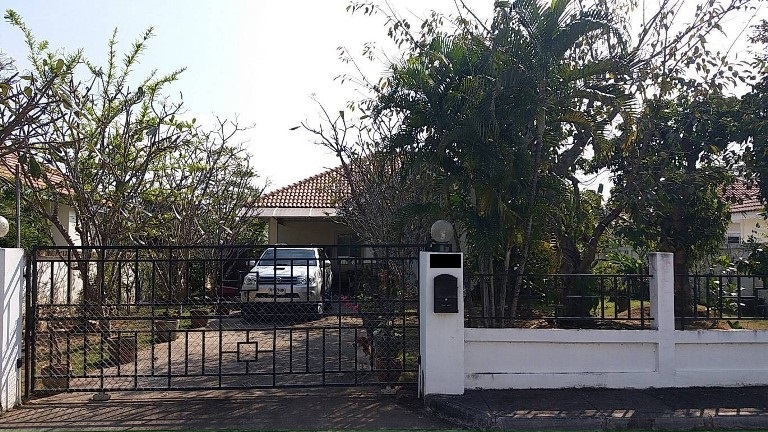 Located off Canal Road (Highway 121), Mae Hia, Mueang, Chiang Mai, is well located for easy access to the city, Nimmanhaemin Road area, various local international schools and numerous restaurants. 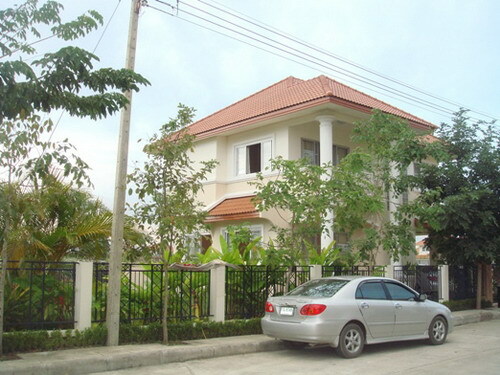 This house is not far from Big C Hang Dong, Central Airport Plaza, Makro, and many other shopping centers. There are also markets close by. General Features 4 Beds, 3 Baths, 1 Living room, 2 Kitchen, 1 Office, Air- condition, Hot-Water, TV, Refrigerator or fridge freezer., Secure Parking , Fully furnished, Kitchen. Facilities: Swimming Pool, Club House, Fitness, Sauna, Security, Children s Play ground. Only 4 km from the city. 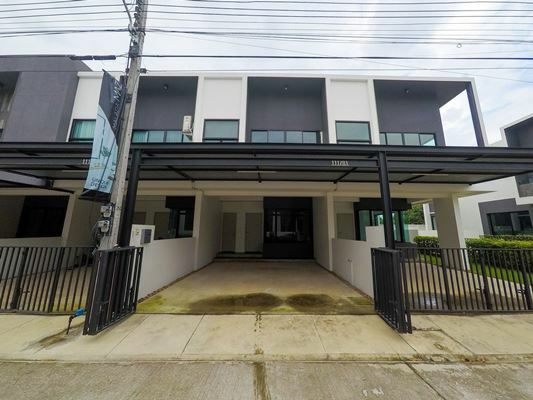 Nearby Lanna International School, Big C and Home Pro Superstores on the Hang Dong Road and about 10 minutes drive from the Chiang Mai International Airport and Central Plaza Chiang Mai Airport. 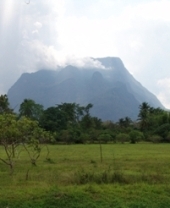 General Features Lot Size : 73 Sq.wa. Using area : 250 Sq.m. (Approximately) 4 Beds 3 Baths 1 Living room 1 Kitchen 1 Storage room 1 Laundry room 3 Air- condition, 3 Electric Hot Water TV Refrigerator or fridge freezer. Secure Parking ,Fully furnished. 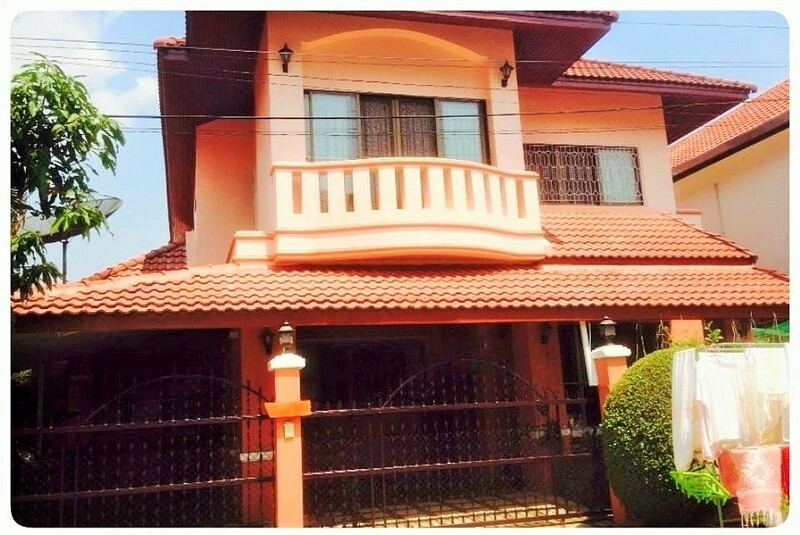 HR1743- House for rent in Chiangmai Thailand. house high quality furnished and fully furnished more than the picture. Near : Central Airport, Chiangmai International Airport.